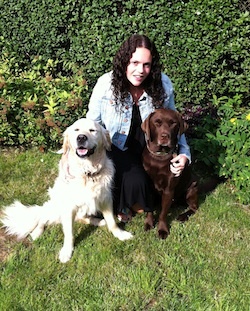 Paws 4 Thought is run by qualified and experienced dog trainer and behaviourist Claire Sayles (BScHons, DipCABT), and can provide you and your dog with a range of services. If you are interested in reading the research in full, Click Here. Claire continues to be interested in Pets as Therapy. Serving Berkshire, Buckinghamshire and parts of Oxfordshire including: Maidenhead, Marlow, Bourne End, Cookham and Henley On-Thames. Call us today for more information on the services we can provide.